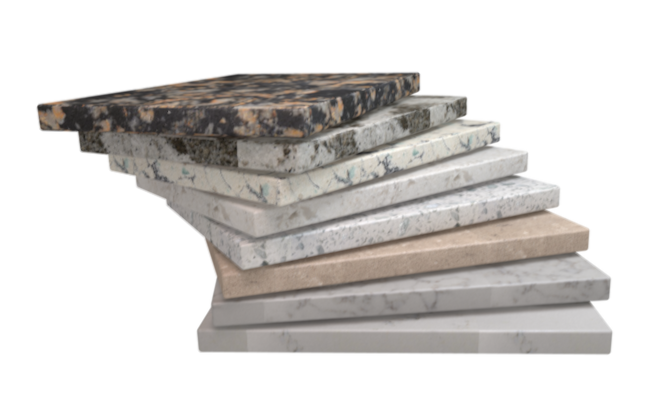 Since its launch in 2001, Eagle Quartz has been conquering the quartz market with a product that transforms the best of natural stone to the best of contemporary residential and commercial design. Engineered with pure quartz crystals, beaming with diamond like radiance Eagle Quartz surfaces are visually striking and utterly unique. Quartz is composed of 93% natural quartz, one of nature’s strongest minerals. Unlike your typical granite countertop, Quartz is nonporous and requires no sealing. It’s resistant to stains, scratches, most household chemicals and moderate heat. This is why it’s the premier choice among experienced builders! At Eagle Quartz we pride ourselves on being the 1st choice among builders in Southern California. For various reasons, express Shipping, quality assurance and satisfaction guaranteed. As a brand Eagle Quartz carries its name highly, for providing superior quality with cutting-edge technology and high performance. Eagle Quartz is committed to providing a more environmentally friendly product by using recycled glass and a mixture of ground quartz aggregates. We are committed to adhering to an environmental management policy, meeting the strict compliances with ISO 14001.